rysh, 21 Apr 2015can we upgrade it from ICS to any new version?Lollypop Custom ROM is available. You have to root the phone. Flash CWM Recovery and then flash Lollypop Custom ROM. It is not 16 million colours. 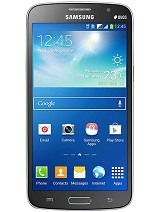 It is 256K only. 1. The MAC address of the phone changes every time it is switched OFF and ON. Hence the wi-fi can not be used where binding of the MAC address is done. 2. Genuine Batteries are not available. Even the Karbonn showrooms do not supply the same. I bought this phone (A30) in July 2013 and within year, after 10 months of purchase (under warranty) the audio jack went off. Soon after audio jack another problem detected with the charging mechanism. In an instance the phone showed the full charge as 100% and the moment i removed the cable, within 10 seconds i could hear the low battery beep. Since day one whenever i tried for system update the error message "No network" appeared where as the phone was always on wifi network (office/home). Ultimately i decided to send the model to service centre, which i found luckily close to my work place. They took the phone and asked me to contact after 10 days. After 10 days they didn't have any info on the set as it was sent to the company. eventually after 20 days it arrived and at the service centre i was told that the motherboard was changed but at the same time it was detected that the touch was not working. So they took it back. Ultimately it was handed over to me when only 3 days were left in the official warranty. They consumed more then 1 month of warranty in their occupancy. And just after 5 days of warranty over, i again found that the audio jack was again not working and when i reported it back to the service centre, i was told that the warranty is over and it will be on charged basis. The set, when i bought was kind of a low budget - high feature phone but the component quality is of third grade. 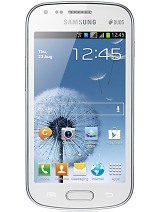 It is better to crash the phone with hammer rather then wasting your time and money in its repairing. So, my advise to buyers is not to go for this third class phone as it will be a waste of money (After one year of warranty). Ikhlas Kazi, 17 Aug 2014battery is available on e bay and other online store so please purchase from there. I also pur... morewhat other online storea? i tried e bay but already sold out. 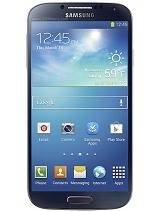 can we upgrade it from ICS to any new version? Its good.. m using since 2013.. but it gets heated up vry soon.. n baytery life is poor.. it needs lot of tym to charge da mobile.. i dwnload some apps n den it tells low on space.. i dnt understand it..i have 1.5gb left in internal still low on space.. its camera quality is not good.. at night its bad..though in daylight its good.. i didnt get a proper flip cover for dis mobile yet.. can anybody help me with all dese.. 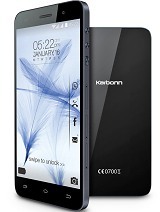 I purchased a Karbonn A30 in August 2013. I am giving it a one star. Not because the handset has any problems.. but because it has poor battery life, and the battery is not available for purchase. So I will have to junk the phone. The behavior of the service center, call center and customer support is unbelievable. Sometimes I am advised to visit another city to purchase the battery, if it is not available in my own city. Sometimes I get junk mails, with automated messages, informing me that "handset is pending for part at the service center", or "due to the part problem the set is under repair process now and the same has been escalated to the concerned service department also". The company should be closed down. It is a fraud. In fact the service center people had informally warned me that the battery will never be available and I was just wasting my time, corresponding with the company. although a bit slow in booting, this phone was working fine until one day it got dipped in water accidentally. thereafter no sound is coming, display is not working properly but touch is working fine. i gave it to the service centre and after a waiting period of 2 long months they could not manage to replace the display screen. the most disgusting service experience ever. 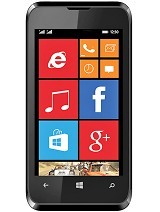 Total of 486 user reviews and opinions for Karbonn A30.